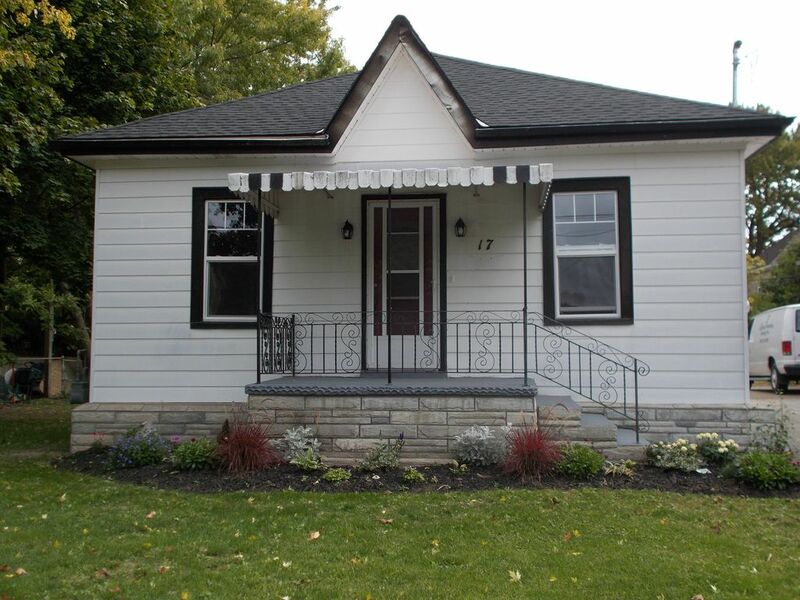 17 Bay Street in Stratford, Ontario, Canada is a 2 bedroom, 2 bathroom Ontario Cottage. Completely renovated in 2016. We offer all the comforts of home. A fully equipped kitchen with everything you need for your dining needs, we also have on site washer and dryer available. Bedrooms have a comfortable queen size bed with flat screen TVs. Master bedroom features an adjoining full master bath with over size walk in shower. A covered back porch with lots of privacy to enjoy a coffee in the morning or a drink in the afternoon. We offer free WiFi. 17 Bay Street is located within walking distance to downtown, parks and Theater. We are confident you will enjoy your stay . Couch and Chair , TV , board games, books and cards are available to use. Dinning area off the kitchen sits 6 . 4 Chairs and a bench seat along the window. FYI: Just to let you know the large left-hand burner does not work on the stove. Was perfect for my wife and I and our two kids. We would definitely stay again. Thanks Diana! Chris and his family were very friendly and easy to talk to, great guests to have stay in our home . We would definitely welcome them back anytime ! Kathleen and her husband were perfect guests to have stay in our home , very personable and friendly , our home was left spotless , we will defiantly have them back anytine ! Very pleasant experience staying in this house, clean and comfortable, conveniently located near downtown with nice walks and entertainment. We'd definitely stay here again in future. This is our second year staying here while attending the Festival. No doubt, we will stay here again next year. Quiet neighborhood, walking distance to all theaters and downtown and well equipped. We had the pleasure of having Bill and his wife stay at our home again for their travel to Stratford. They are very respectful of our home, We would love to have then stay anytime . We had a fabulous two-night stay at Diana’s comfortable home. She was a pleasure to deal with, greeted us in person and provided complimentary coffee and water. This was the perfect way to spend a weekend as two couples attending the theatre, a short walk away. We enjoyed time chatting on the private back porch. Beds were very comfortable and the whole experience was relaxing. So much better than a hotel! Deb and her group we a pleasure to have stay in our home. Our house was left very neat and tidy. We would absolutely welcome them all back anytime, and would also recommend them all as perfect guests to have stay in your home.